1954: Radio soap The Road of Life made its TV debut. My Children's Adam and Erica married for the second time. 2010: One Life to Live's Natalie accepted John's proposal. 1954: Procter & Gamble's popular radio soap opera The Road of Life, created by Irna Phillips in 1937, made its television debut on CBS in the 1:15-1:30 p.m. ET time slot. Because many CBS affiliates chose to run local news and talk shows during this time, the program never achieved the popularity it might have and aired its last TV episode on July 1, 1955. The radio version of the show continued into the 1959 season when the golden age of the radio soap opera began to wind down. Written by Charles Gussman, who brought wit and cleverness to his soaps, the story centered on handsome doctor Jim Brent and his wife Jocelyn in the small town of Merrimac. The heroine of a medical drama, Jocelyn would suffer from a number of ailments. A large factor in the story was the relationships between three generations of Brent's and Jocelyn's well to do but highly dysfunctional family, the Overtons. Donald McLaughlin starred as Dr Brent, and Virginia Dwyer as Jocelyn on both radio and TV. 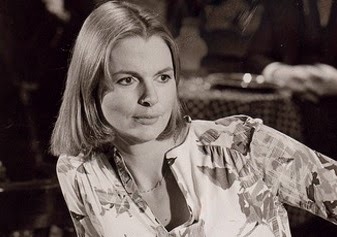 Both would move on to other soap roles: McLaughlin as Chris Hughes on As the World Turns, and Dwyer as matriarch Mary Matthews on Another World. 1957: On The Edge of Night, Hester (Helen Shields) worried Martin wanted a stay-at-home wife and about his jealousy of her male co-worker, Henry Muller. 1965: On Peyton Place, Russ Gehring (David Canary) phoned Marian Fowler's sister looking for her. 1976: On Another World, stalwart Michael Randolph (Lionel Johnston) married scheming Molly Ordway (Rolanda Mendels) at the White Gate hotel in Ogden. Willis Frame (Leon Russom) was the best man, while Angie Perrini (Toni Kalem) served as maid of honor. 1979: On As the World Turns, Carol Stallings (Rita Walter) pleaded with Ralph Mitchell (Keith Charles) not to take legal action against her husband, Jay (Dennis Cooney). 1979: On General Hospital, as Lesley Webber (Denise Alexander) struggled to help Monica Quartermaine (Leslie Charleson) give birth to Alan James "A.J." Quartermaine Jr. at home, Monica blurted out that Rick Webber (Chris Robinson) was the father of her baby. 1979: On Guiding Light, Mike Bauer (Don Stewart) informed his daughter, Hope (Elvera Roussel), that he believed her fiance, Alan Spaulding (Christopher Bernau), was involved in serious criminal activity. 1983: Actress Leora Dana, who played Sylvie Kosloff on Another World in 1978-79, died at age 60. 1984: On Search for Tomorrow, Lloyd (Peter Haskell) obtained a copy of Rebecca's birth certificate and fingerprints. 1984: The Edge of Night cast and crew taped the show's final episode, which aired on December 28. 1985: Actress Ann Williams died at age 49 after a battle with cancer. Her daytime credits included stints on The Doctors as the first Dr. Maggie Fielding, and on The Edge of Night as television station owner, Margo Huntington Dorn. Her most memorable character was Eunice Gardner Wyatt on Search for Tomorrow (1966–1976), famously shot by Morgan Fairchild's Jennifer. Her final soap roles were alcoholic June Slater on Loving and Lucy in Guiding Light, a blind woman that befriended Beth Raines (Judi Evans) in the clip below. Williams left behind four kids in her real life who had a story as fascinating as their mother's characters. Read it here. 1985: On Dallas, J.R. Ewing (Larry Hagman) convinced his ex-wife, Sue Ellen (Linda Gray), to move back to Southfork, which meant she gave up her custody of their son, John Ross. Note: This story ended up being a dream after Bobby turned up alive in Pam's shower in the season finale. 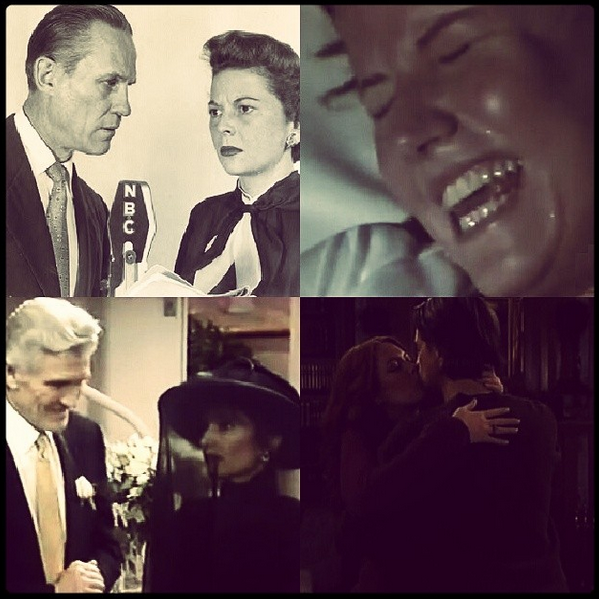 1991: On All My Children, Erica Kane (Susan Lucci) and Adam Chandler (David Canary) were married, again. 1993: Former One Life to Live and Loving casting director Bobby Hoffman died at age 71. 1996: On Another World, Ghost Ryan (Paul Michael Valley) tried to warn Bobby (Robert Kelker-Kelly) about Grant. 2001: On The Bold and the Beautiful, Rick (Justin Torkildsen) promised Brooke (Katherine Kelly Lang) she was not going to regret letting letting him move in with Amber. 2007: On Guiding Light, Doris Wolfe (Orlagh Cassidy) was down after losing the Springfield mayoral election to Buzz Cooper. 2008: British soap actress Kathy Staff (Doris Luke, Crossroads; Vera Hopkins, Coronation Street; Winnie Purvis, Emmerdale Farm) died at age 80. 2010: On One Life to Live, Natalie Buchanan (Melissa Archer) accepted John McBain's (Michael Easton) marriage proposal.